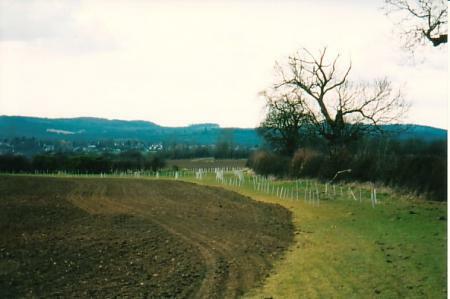 Bill's Wood was planted in 2004 in memory of Bill Cooper who died in 2002. Bill farmed for many years at Southfield Farm and his son, Anthony, had the wood planted on his land as a lasting memorial to his father. 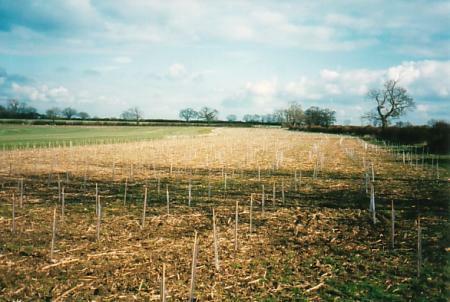 The wood was planted on the 4th/5th March 2004 on the highest point of the farm known as Swallot Ridge. It extends into the parish of Thurcaston and encloses the current and ancient parish boundary of Rothley. 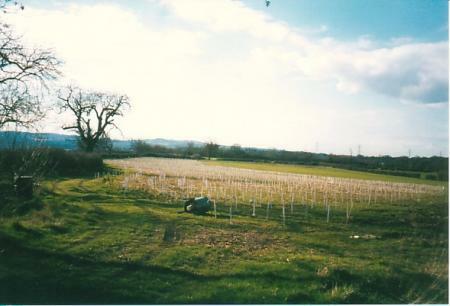 The young trees are growing well in 2006 and a record will be kept of their progress over the coming years. 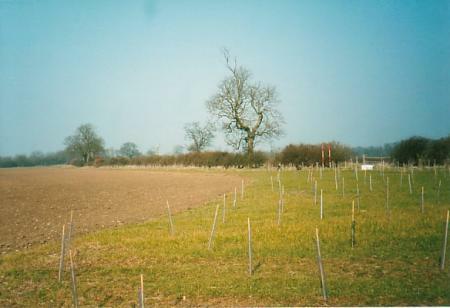 The two photgraphs above show the planting in Thurcaston parish just over the current and ancient Rothley parish boundary.